Pycnogenol is a natural plant product made from the bark of the European coastal pine, Pinus maritima. 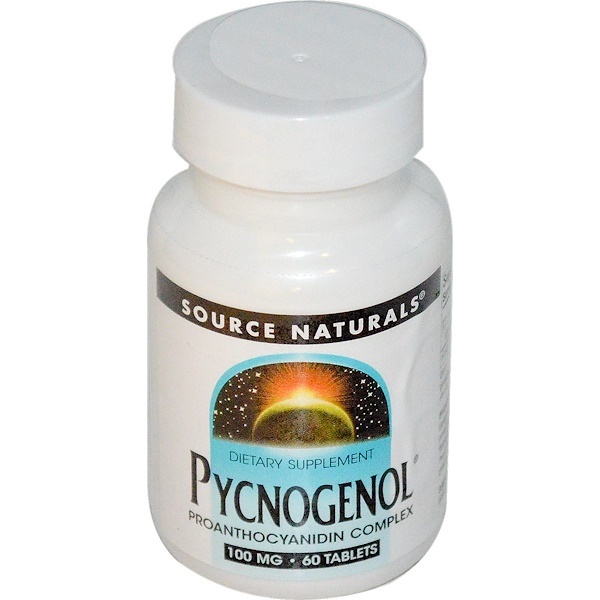 Pycnogenol is rich in proanthocyanidins, a special class of water-soluble antioxidant flavonoids, which are excellent free radical scavengers. 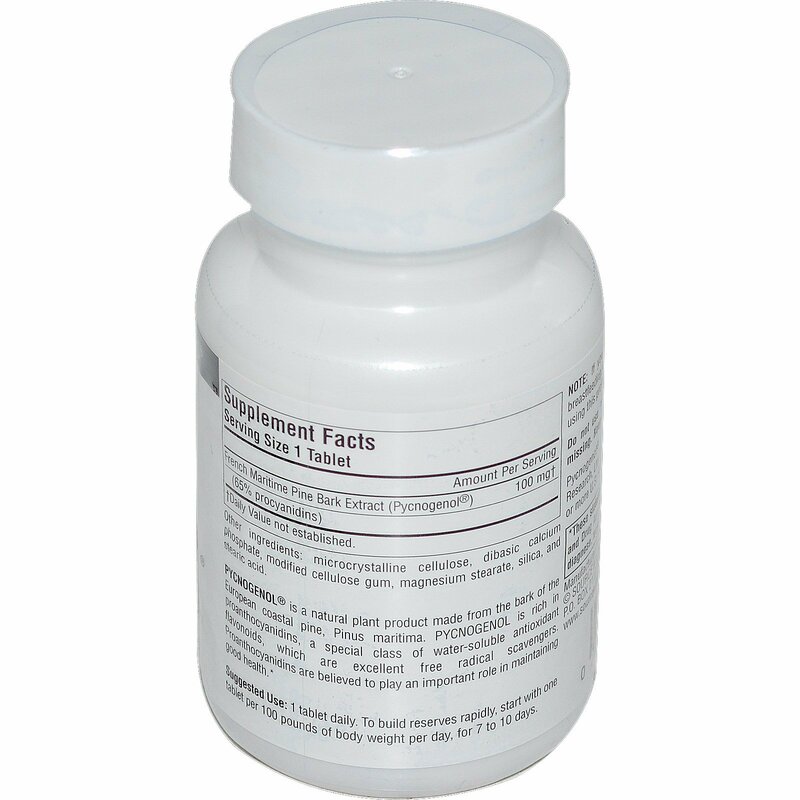 Proanthocyanidins are believed to play an important role in maintaining good health. 1 tablet daily. To build reserves rapidly start with one tablet per 100 pounds of body weight per day, for 7 to 10 days. Microcrystalline cellulose, dibasic calcium phosphate, modified cellulose gum, magnesium stearate, silica, and stearic acid.